Burnley’s unbeaten home run, stretching back to November, came to an end three days ago when Spurs left Turf Moor with all three points and the Clarets will be looking to start a similar run tonight when Stoke City are the visitors. Five successive wins it was, against Bournemouth, Middlesbrough, Sunderland, Southampton and Leicester, followed by a 1-1 draw against leaders Chelsea, but given the reaction to the Spurs defeat you might be forgiven for not realising we’d been on such a good run at home. Suddenly everyone is getting over concerned about the situation. The last seven games, admittedly, have not brought us a win although there are still teams during that period who have picked up less points than us. It is some time now since we won a game. It was on the last day in January when we beat champions Leicester and also made two signings as the transfer window closed. Yes, the gap between us and the bottom clubs has closed, but had we beaten Spurs last Saturday, and I’m not suggesting we came close to or deserved to win, we’d have actually been in the top half of the league. Boyd has been a regular this season. Having been forced off with an injury at Southampton he missed the next game against Everton and was then used as a substitute in the next three. Other than that he’s started every game and will be in the side tonight. The suggestion is that Sean Dyche will make two changes to the team beaten by Spurs. Steven Defour made a long awaited return from injury in that game as a substitute and is now going to start in place of Scott Arfield while Sam Vokes is preferred to Ashley Barnes, getting his first home league start since the 3-2 win against Bournemouth in December. 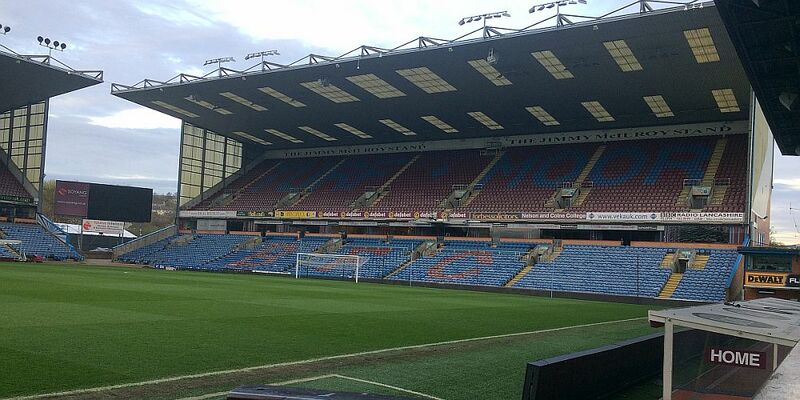 Burnley are expected to line up: Tom Heaton, Matt Lowton, Michael Keane, Ben Mee, Stephen Ward, George Boyd, Jeff Hendrick, Joey Barton, Steven Defour, Sam Vokes, Andre Gray. Subs: Paul Robinson, Jon Flanagan, James Tarkowski, Ashley Westwood, Scott Arfield, Robbie Brady, Ashley Barnes. Stoke are currently in a healthy ninth position in the table with 36 points, four more than us. That’s some recovery from a side that had a very bad start to the season, drawing three and losing four of their first seven games and not securing a win until a 2-0 home success against Sunderland in mid-October. Ninth is their highest position of the season but they’ve come in for some criticism having lost the two games either side of the international break. One of those was Chelsea and on Saturday they were beaten 2-0 at Leicester. It seems it was the Leicester defeat that has caused the biggest concern; they were comfortably beaten against the revitalised champions. There is no doubt that they will provide us with a tough game tonight having already won 13 points on the road this season and that includes three wins at Hull, Watford and Sunderland while points have also been won at Middlesbrough, Manchester United, West Ham and Manchester City. Stoke haven’t relied on any one player for their goals this season. No one has more than midfielder Joe Allen who has netted six times. Behind him comes Marko Arnautovic with five and Peter Crouch, who is expected to miss tonight’s game with four. On the injury front, Mark Hughes is hoping that Geoff Cameron will be fit. He missed the game at Leicester having picked up a thigh strain on duty with the USA, but Swiss forward Xherdan Shaqiri is likely to miss out. “We’ve got a few bumps and bruises from the weekend but that won’t affect them from not playing,” Hughes said. “We will be without Xherdan Shaqiri, he may well train with the group today, but it will be too soon for him to be involved. There is positive news with a potential return from injury for former Burnley loan player Phil Bardsley while Stoke will certainly include one ex-Claret in Lee Grant. Stoke’s team at Leicester was: Lee Grant, Glen Johnson, Erik Pieters, Ryan Shawcross, Bruno Martins Indi, Glenn Whelan, Joe Allen, Marko Arnautovic, Jonathan Walters, Ramadan Sobhi, Saido Berahino. Subs: Shay Given, Marc Muniesa, Ibrahim Afellay, Giannelli Imbula, Charlie Adam, Mame Biram Diouf, Peter Crouch. The Burnley v Stoke game brought the home season to an end in 2014/15. One week earlier our relegation had been confirmed despite winning at Hull and there were hopes that we might go out with a win and a second double of the season. It wasn’t to be although we did get a point in an real end of season style 0-0 draw and ensured we ended the season without a single goal in any of our last four home games and it was the first time in a decade that we’d had such a run at Turf Moor. We started well and in the first twenty minutes could have taken the lead more than once. Jack Butland made three good saves including one superb effort to deny David Jones. We also had a couple of efforts blocked. I suppose it was typical of the entire season, a lot of good play but no positive result in terms of a goal. We should have had a penalty in the second half for a clear foul by Ryan Shawcross on Ashley Barnes but the game eventually petered out and looked a certain 0-0 long before the end. For some Burnley players it was a last Turf Moor appearance in Burnley colours, for Kieran Trippier, Jason Shackell and Danny Ings while for Fredrick Ulvestad it was a Turf Moor debut just a couple of minutes before the end. Burnley: Tom Heaton, Kieran Trippier, Michael Duff, Jason Shackell, Ben Mee, George Boyd, Scott Arfield, David Jones (Fredrik Ulvestad 88), Matt Taylor (Michael Kightly 65), Danny Ings, Ashley Barnes (Sam Vokes 83). Subs not used: Matt Gilks, Michael Keane, Stephen Ward, Lukas Jutkiewicz. Stoke: Jack Butland, Geoff Cameron, Ryan Shawcross, Marc Muniesa, Erik Pieters, Glenn Whelan, Steven Nzonzi, Jonathan Walters (Peter Odemwingie 59), Charlie Adam (Steven Sidwell 83), Marko Arnautovic (Peter Crouch 69), Mame Biram Diouf. Subs not used: Asmir Begovic, Philipp Wollscheid, Marc Wilson, Stephen Ireland.